DODGE CENTER, Minn. — Like most days at Triton High, school started with a flurry of activity. Hallways bustled, and students chatted as they headed to the auditorium for a school assembly. Here – where Logan Maas used to be. The lights dimmed, a projector lit the screen and somberness enveloped the room as the story of Logan’s death played out before the now-silent Triton students. The Minnesota State Patrol produced the video “Lasting Impact” with the cooperation of Logan’s family. The screening at Triton High was the first in the state. “Sharing the worst day of our life with everybody, that's hard,” Logan’s father, Matt Maas, said after the screening. 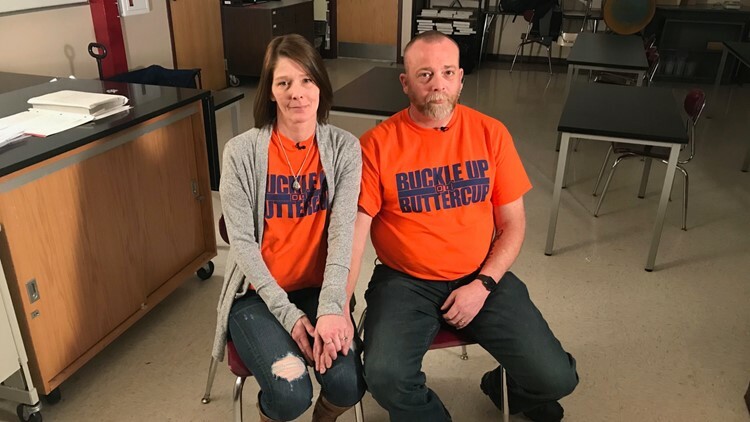 But Matt, his wife Julie and the couple’s surviving children, Dylan Maas and Mariah Wedrickas, didn’t hesitate long when given the opportunity to share their story. “We knew that this is something bigger than us,” Logan’s dad said. Logan died in 2015, a week before Christmas. The school day had started like any other, but ended with Logan climbing into the passenger seat of a doomed sedan driven by another student. With two other teens in the backseat, the driver approached a steep hill known for the roller-coaster sensation it created when crested at high speeds. A crash investigator later concluded the car in which Logan was a passenger had been traveling 90 miles per hour when it reached the top of the hill. The driver lost control. The car rolled. And Logan - who wasn’t wearing his seatbelt – was thrown from the car and suffered a fatal head injury. Logan died at 18 - five months from his high school graduation. 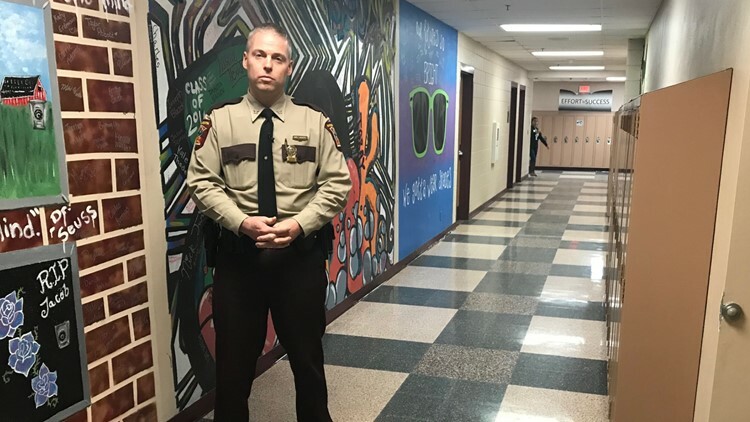 “The purpose is to get people's attention and change their behavior,” Colonel Matt Langer, chief of the Minnesota State Patrol said. Though a tough ask, Langer knew the cooperation of the Maas family was key to the success of the video. The driver of the car, Candace Utech, also agreed to sit for an interview. In the video she tearfully expresses her remorse. “I know that I've changed their lives forever,” Utech said of the Maas family. The video features photos from the crash scene and Logan’s funeral, first responder reenactments and emotional interviews, mixed with popular music. 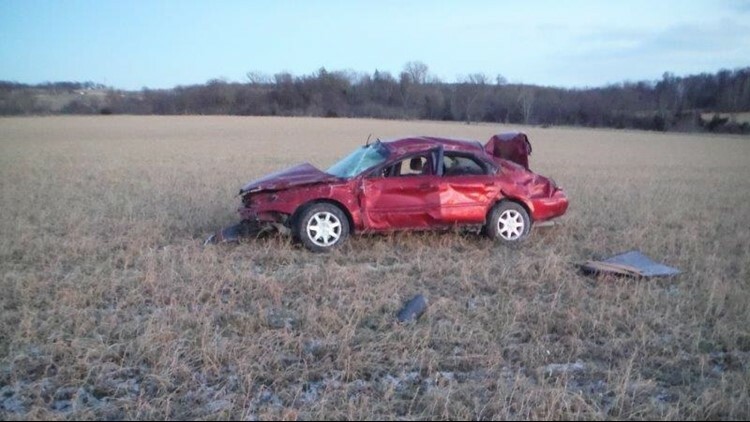 The car in which Logan Maas was riding when he died. Many Triton students wiped away tears during the screening. Logan’s family sat in the front row doing the same. In the video, family members speak candidly about Logan’s bad decisions. 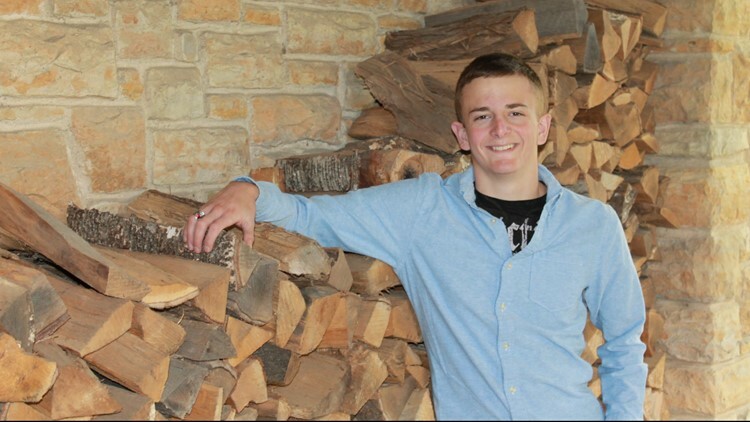 As a participant in the firefighter explorer program, Logan had seen firsthand the effects of car crashes. He was known in his family as an avid seatbelt wearer and occasional nag to those who forget to buckle up. “Then the one time it happened where he didn't wear his seatbelt it cost him his life,” Logan’s brother Dylan says in the video. Still, Logan’s sister believes he’d be pleased that his family drew upon his story to help others. When the lights came up, the Triton auditorium remained silent. After a brief presentation by Matt Maas, the student audience filed out with barely a word. “I'm hoping that them walking out of the room so somber means that it's going to stick with them for a little while,” Matt Maas said. Logan’s parents and siblings exchanged hugs. The pain is still real, but they are doing the best that they can - for themselves and, now, for everyone else’s kids too. Note: "Lasting Impact" is now being offered free of charge by the Minnesota State Patrol. A trooper will come out to your school, driver education classes or any organization that would deem it valuable to present the video. For more information, click here. On a mobile device you can watch more here: Land of 10,000 Stories YouTube playlist.